Ladies Polycotton Blouse. New long sleeve style with mandarin collar. 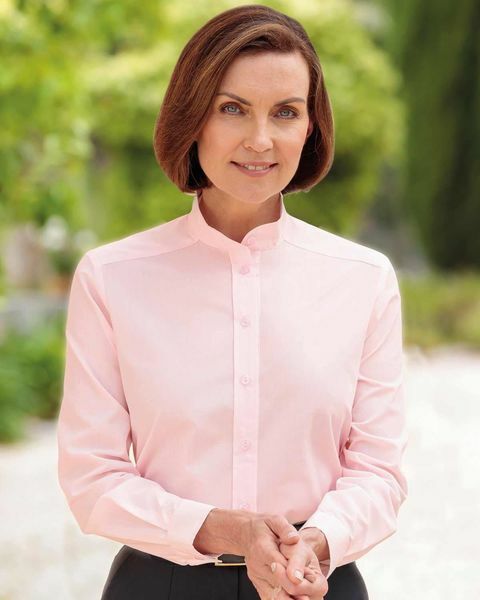 Ladies new long sleeve style blouse with mandarin collar cut from easycare 65% polyester/35% cotton. This unique collar gives a sophisticated finish to any outfit. "Lovely fit beautiful material "